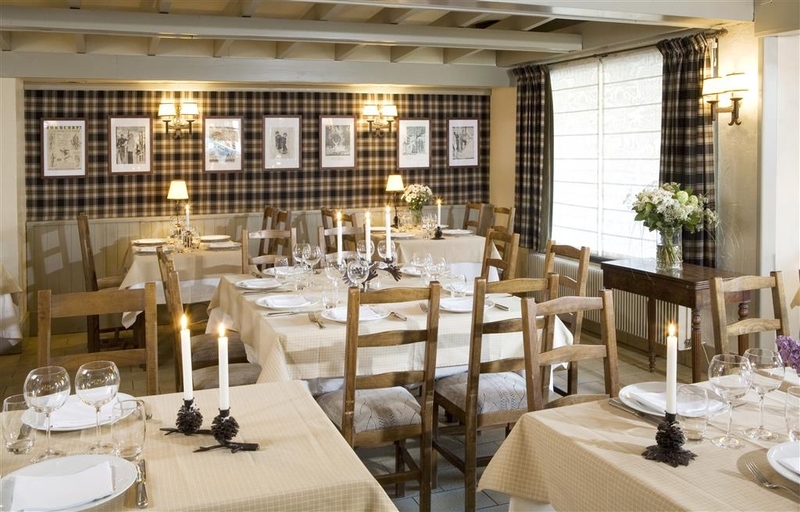 El Best Western Chalet Les Saytels se encuentra en el centro de Le Grand-bornand. Venga y disfrute de las mejores atracciónes turísticas cerca de nuestro hotel. Precios bajos garantizados y ofertas exclusivas. Situado frente al macizo de Aravis (2 750 metros), el hotel Best Western® Chalet Les Saytels goza de una ubicación excepcional en un extraordinario pueblo de montaña con una estación de esquí de primera clase. Está a apenas 350 metros de las pistas de esquí y a 200 metros de las tiendas de la calle principal y de los paseos estivales por la montaña. Este hotel encantador y acogedor con su cautivadora cocina francesa es magnífico tanto para el ocio como para los negocios. 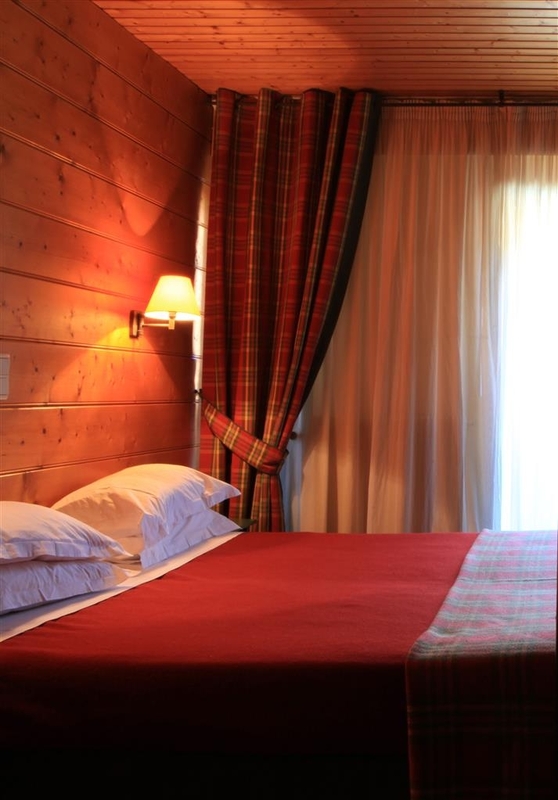 El Best Western® Chalet Les Saytels se encuentra a poca distancia de Ginebra, Chamonix-Mont Blanc y el Lago Annecy. Disfrute de su estancia en nuestro hotel. "Very nice hotel in a very nice place"
We found out about this hotel through our "smartbox". Very nice spa area with a jacuzzi, sauna and swimming pool. The breakfeast-buffet is diversified and really good. To recommend as a place in a beautiful quiet town. 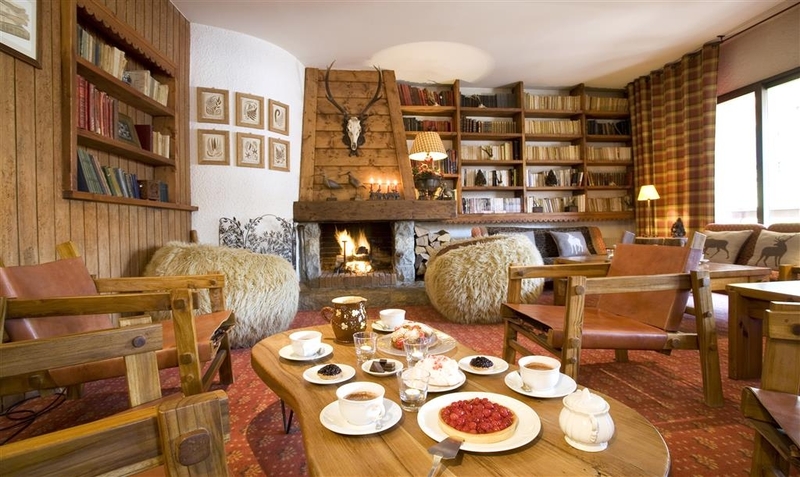 "A hidden gem in the mountains"
Close to great skiing and the ski lifts, amazing fine dining and lovely breakfasts, a spa to relax in, wonderful hospitality from all at the hotel. I was here in February and returned in April with the same sentiments, Thank you. "Good Location for Ski Slopes"
Friendly, helpful staff. Hotel is in a great location, easy access to ski slopes. Free ski bus available from outside the church. Across the road is a small supermarket. There are lots of local restaurants. Our room number was 314 and the view was lovely. The window looked out over the church and the mountain. The room itself was tired looking, a little musty and dark. Hole in curtains, bedding was clean but was stained in places. The bathroom tap only trickled. There was a kettle and hairdryer. Breakfast was simple, scrambled eggs (v.good), bacon, croissants, baguettes, cheese and jam. We booked half board, we ate in the dining room for two nights but the food was not to our taste so ate at a local restaurant instead. One day we were unable to ski as visibility was poor on the mountain so we took full advantage of the Spa - sitting in the outdoor jacuzzi when it was -2 degrees and heavy snow was bliss. "Awful stay at the chalet "
This "4*" hotel was a huge disappointment and I would strongly urge that you avoid it at all costs. We stayed in the "luxury chalet" which was described to us as the "best room in the hotel", which must mean that the other rooms are even worse. Firstly, the majority of the beds in the room were only accessible by an awkward wooden ladder. This made every trip upstairs dangerous for me and my family. This ladder would be impossible to traverse for anyone with mobility issues, and is certainly something young children should never set foot on. The towels in our room were dusty and no toiletries were provided in the bathroom, despite many 2 star hotels usually providing some shower gel or shampoo. The wifi in our room was sluggish and rarely worked. I was unable to watch a 20 minute TV show despite moving about the property for at least an hour. There is no air con in the room which may be an issue in hot weather. Much to my horror, the bathroom and curtains were crawling with large flies which frequently landed on me. The beds were adequate but had thick covers which didn't help the lack of an air con. We searched the town for place to eat but were turned away as we were too late. Despite arriving at the hotel on time, there was n food available to us after a day of driving. The younger staff provided us with a small charcuterie and some bread to share between the four of us. Although two of us were children the total cost of these improvised nibbles and some drinks was around €80, which is simply insane. I strongly urge you not to stay in this Hotel which was advertised to us as a luxury stay. 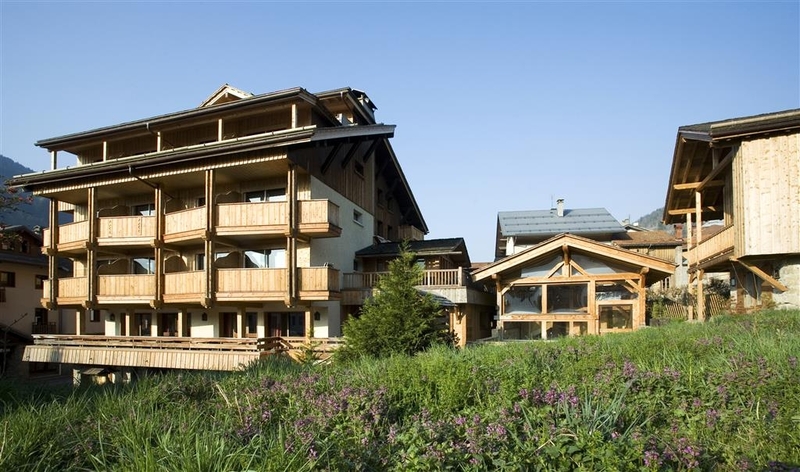 "Overnight stay at Chalet les Saytels"
There is no way this hotel should br classified as 4 star. The family room which was marketed as a luxury deal was anything but luxurious. Access to most of the beds were via a perilous ladder - totally unsuitable for young children and anyone with mobility difficulties. No toiletries provided and towels covered in dust. We arrived late in the evening before the deadline for check in with two children - no food readily available. After pleading as nowhere else was open and the children were hungry we were offered a single plate of charcuterie and cheese for four to share and then charged 12 euros per head including for the two children - shocking. Very disappointed with this supposedly 4 star hotel. We were not staying at this hotel but booked supper in the restaurant. After a week of meat and cheese we were craving fish and the bream was absolutely delicious. The staff were very friendly and professional but the only thing that I found strange was that they set the dishwasher going noisily throughout the meal. Presentation of the food was beautiful and very thoughtful. "with reservation confirmation directly from the Hotel, Arriving at the hotel reserved room no longer available"
We wanted to spend a nice weekend skiing and reserved a nice appartment directly at the hotel. We arrived in the morning left our lugage at the hotel before we went skiing. Comming back in the afternoon our room was no longer available. In the morning not a word that there would be a problem, our kids where very disappointed. We had to drive another hours to find another place. While the staff were friendly and the food was good I was a little disappointed with the hotel in general - it resembled a large guest house and did not have that hotel feel. The pictures shown on the website and deceiving and while you will get a good nights sleep there's little more than that to enjoy about the hotel. It shows swimming Pools and hot tubs but they may as well be on the moon with the staff having no English to direct you to those facilities. Also when booking make sure to go well down the price list as the lowest prices are on the bottom of the page on the web site - there's a 300 euro difference for the same room type !! "Excellent food and great location"
Seven middle aged guys spent three nights here and were very well looked after. Very friendly helpful staff and excellent food. Decor USA bit tired, but that didn't bother us. All our meals were superb and the Waitress spoke good English and gave great service. Definitely highly recommended. Having visited for a number of years this will be our last. The customer service has deteriorated, the staff are rude and it is not worth the £200 per night price tag. 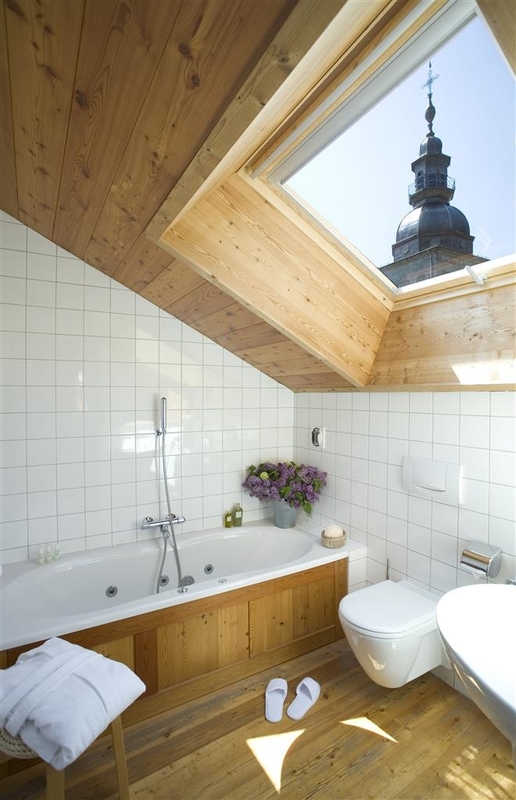 The rooms are basic but basic standards of bathrooms tiles should be fixed if broken or missing. The lack of water pressure makes it impossible to have a decent shower and if using the lounge are, wrap up warm as there is little heating and it is cold! There used to be a fire lit every night but not any more.... In the whole time we were there it was lit on only one occasion. The food used to be fantastic but no more. The main waitress was ok but the rest of the staff rude and had to be reminded of requests that were constantly forgotten. Do not intend to have a relaxing meal. As soon as your cutlery go down, your plate is removed and the next course arrives.... Feeling rushed is an understatement. Be early for breakfast as if they run out of anything it is just hard luck! What a shame. Came here and stayed for a four weekend to take advantage of the lack of crowds during low ski season. Weather and snow were perfect, as was the lack of people ! As ever, food and ambience were great, but they did have a conference with very noisy guests - which didn't help during the night, as they were crashing around trying to find their rooms after a night on the town. Food was lovely, although they could do done work on their hot breakfast options. A nice stay overall. "Nice hotel, good staff, interestingly run"
I stayed here with a group of friends for a long spring weekend break skiing -- we are an international well travelled crowd in our 30's and this hotel ticked most boxes; was nice, cosy & comfy, helpful staff, wonderful food (for breakfast it is advisable to get down early as its not replenished well however) but dinner was excellent, and a lovely pool, hot tub and sauna. 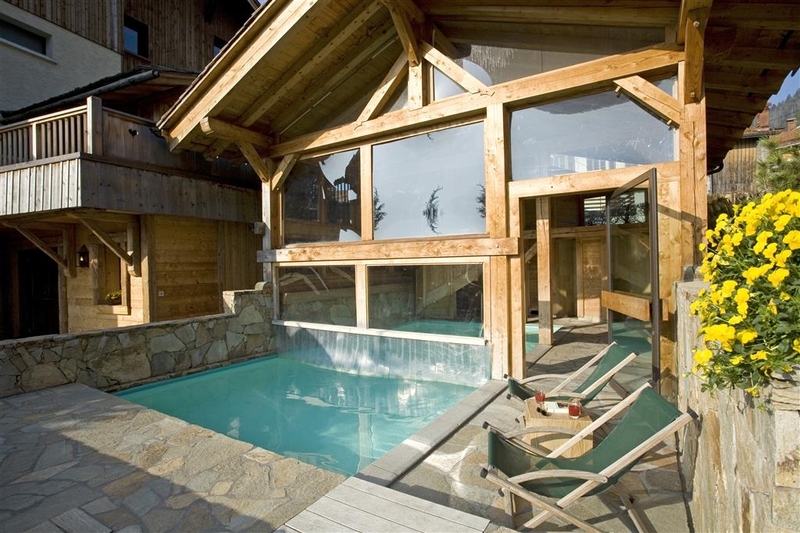 Some rooms are bigger and better than others, with the best being out the back -- chalet style. It's in the middle of the town so whilst not right next to the ski runs is not far away and is close to shops and restuaranta etc. Le grand Bornard is a quiet little French Village really. It was the hotels management where things got interesting. After beingrh super lovely and accommodating with us upon our late first night arrival (mainly thanks to the manageress as far as I could see) a horrible situation arose between one of my friends and the manager on another night that was a simple mix up (we had been told we could BYOB To the restuarant by one of the waiters the night before as they were out of so much wine, but the manager told us that couldn't be the case the next night and so my friend just tried to see if a compromise could be met -- it couldnt!) After that, there was a frostiness between 'them' and 'is' for the rest of the trip which was sad as otherwise it was a lovely stay. 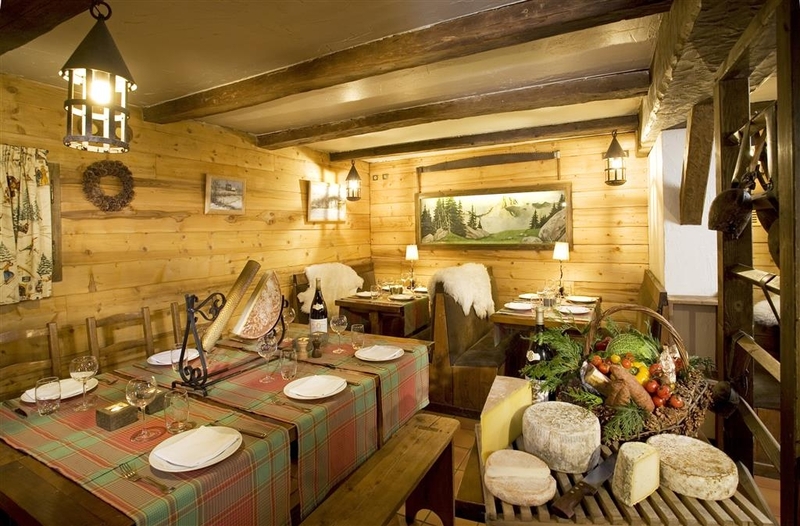 "Ideal for a traditional French winter break"
We booked last minute to come to this part of France for a winter mountain break, to give snow shoeing a try after bad knees prevented skiing this year. 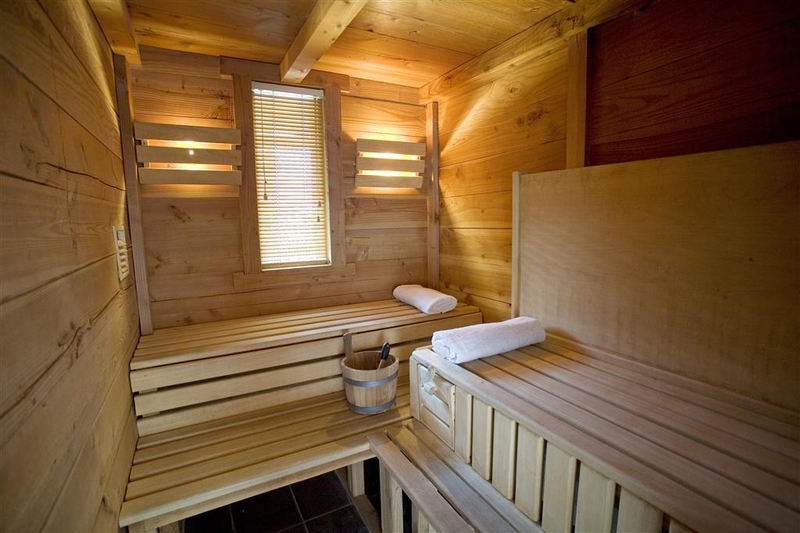 Hotel ideally situated, in centre of village, near the tourist office where you book snow related activities. Parking behind church free. Inside hotel, it's traditional, comfortable, clean, very friendly and helpful staff, spacious room with en suite and a balcony, you need to ask for a kettle, provided- no problem. The road noise mentioned in other reviews was not a problem, even with door to balcony open, room was hot but turned off the radiator, opened the door and it was fine. Decor looked new and in keeping with the surroundings? Great find, would stay again. 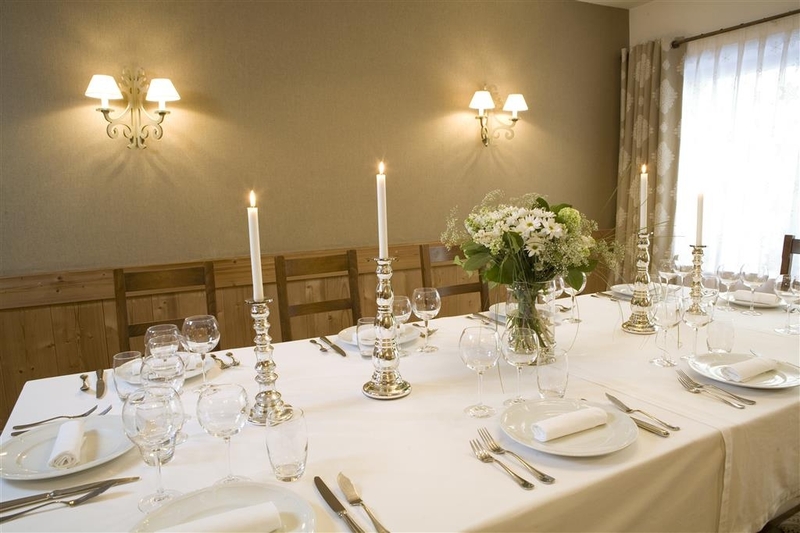 "Cosy hotel with super gourmet food"
A traditional French hotel in a mountain setting, so don't expect the 4 star luxury you'd get in the middle of the city ... saying that, the rooms are more then adequate, with great food, fantastic views and very friendly management and staff. 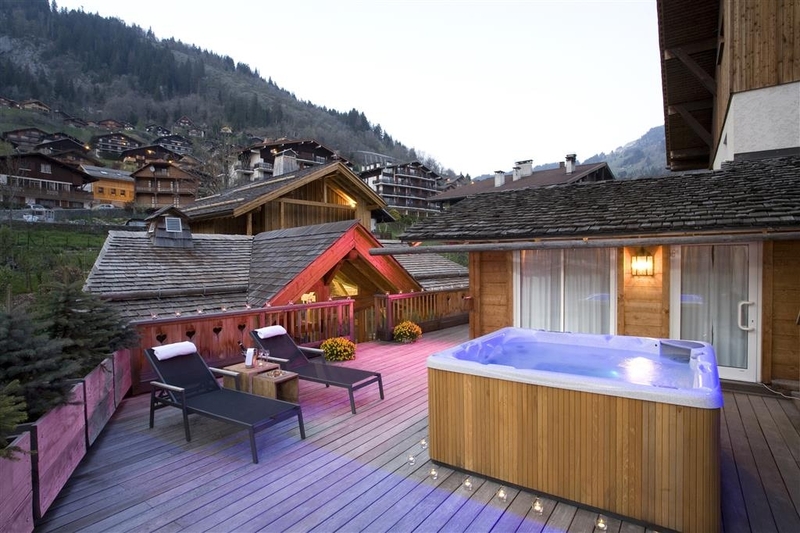 The outside hot jacuzzi in sub-zero air temperatures is a must, particularly when it's snowing ! All in all, a great stay (we came primarily for the skiing) and well worth the very good price ! We had a wonderbox gift certificate for 1 night with breakfast and spa. The manager gave us a very basic and old fashion bedroom room 17 when we arrived (which I did not like for a romantic stay) but I did ask to get the same bedroom shown on the wonderbox book with a king size bed and jaccuzi bath, room 37, which was much more appreciated. The manager did his best to accommodate our request. Breakfast was very good with a good selection. 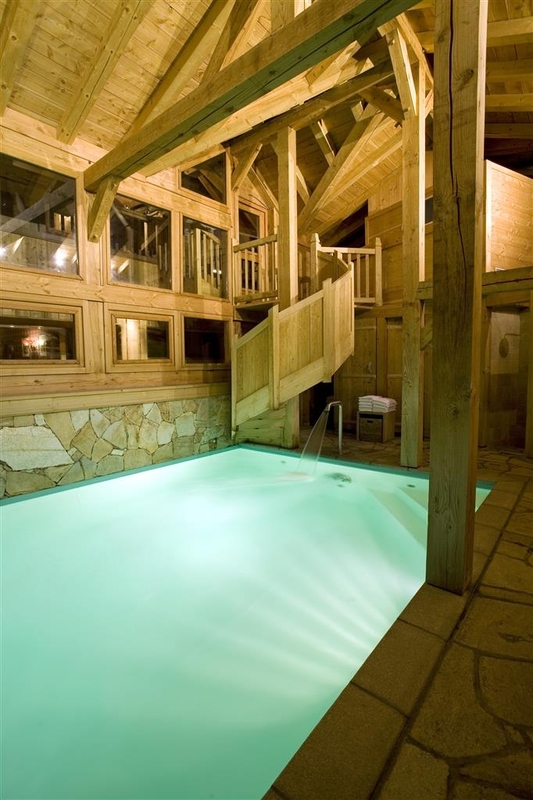 Excellent outdoor jacuzzi, sauna and pool. No atmosphere in the restaurant just fine for the breakfast! "Nice hotel and lovely food"
We've stayed here in the winter several years in a row - for the local skiing mainly. It's a nice family run hotel despite the Best Western affiliation, with a restaurant menu that would rival the best of restaurants in most major cities. Not to be missed ! It's small, friendly, centrally located - for shops and the ski area - and a relatively short car journey from Geneva, so easily accessible. Forget the nearby snooty La Clusaz, this is the best place to be. We book directly, so it's not as cheap as it might be, but it's worth the money. All in all a gem where you'd least expect it.